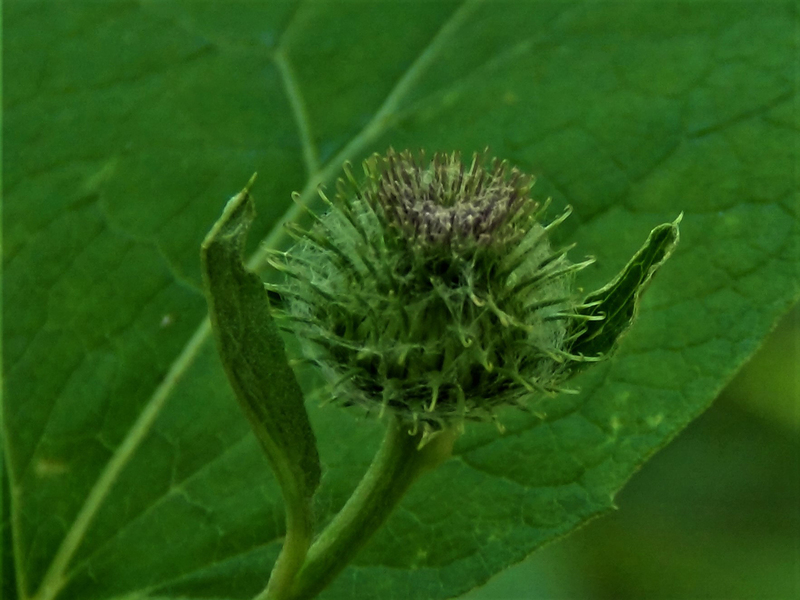 Common Burdock, Lesser Burdock, Arctium minus, Arctinum lappa. 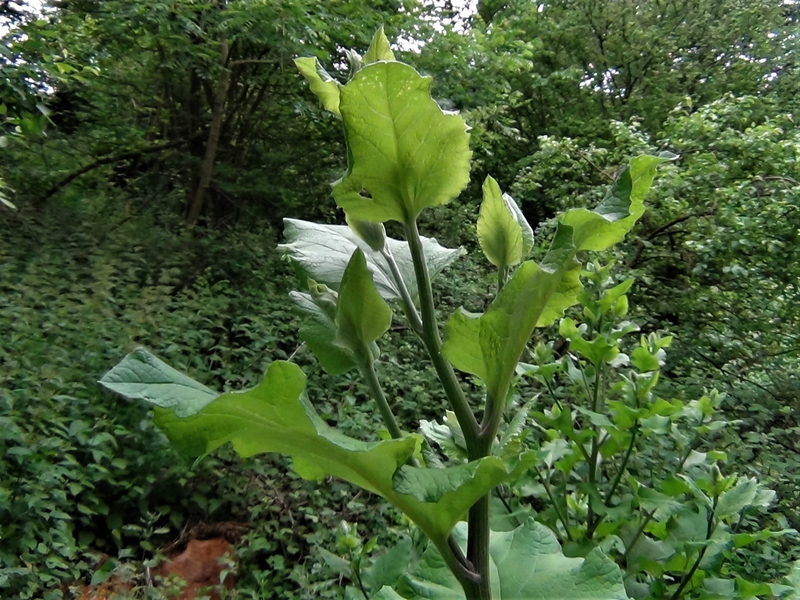 In its second year burdock grows a tall flower stem with leaves attached. 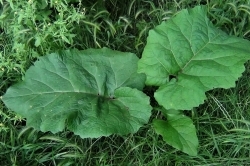 You must have the land owners permission to dig up Burdock roots but if you ask any farmer, they might laugh at you but they don’t usually mind you digging up persistent weeds for them. Very large, dark green on top, lighter and slightly downy underneath. 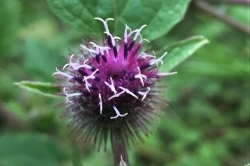 Heart shaped towards the base becoming more spear like on the flower stem. 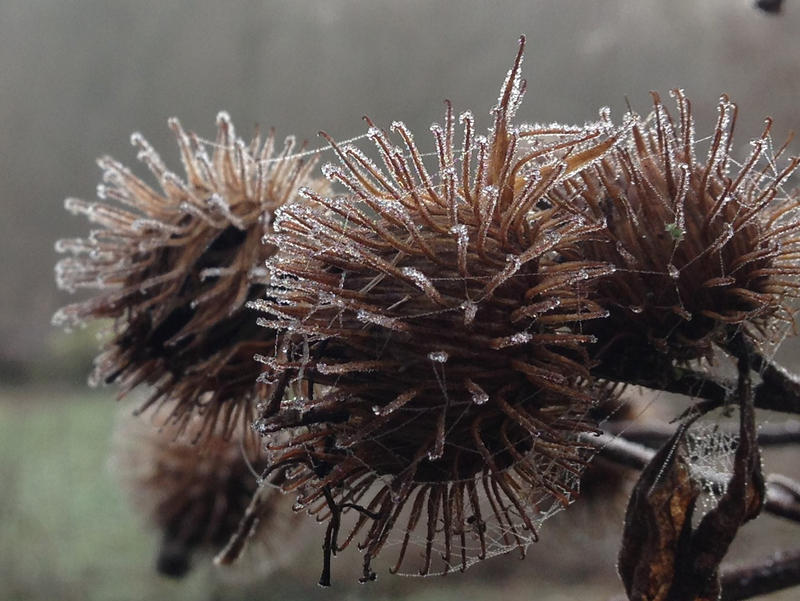 Purple and rather like a thistle flower until dry and brown, forming a ‘bur’. 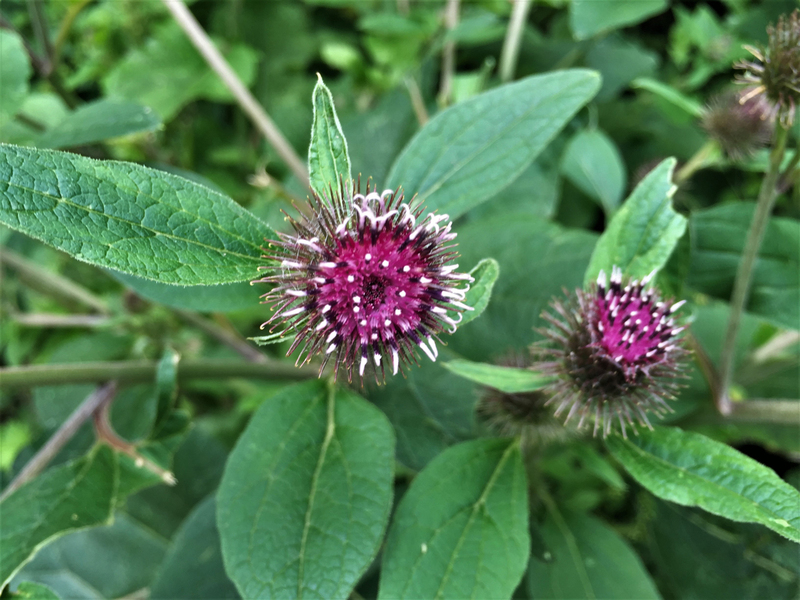 Flowers mid Summer to Autumn. 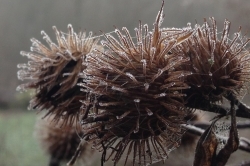 The ‘burrs’ or seeds are the annoying parts that stick strongly to your clothes or tangle your hair if you are unlucky enough to come into contact with them. 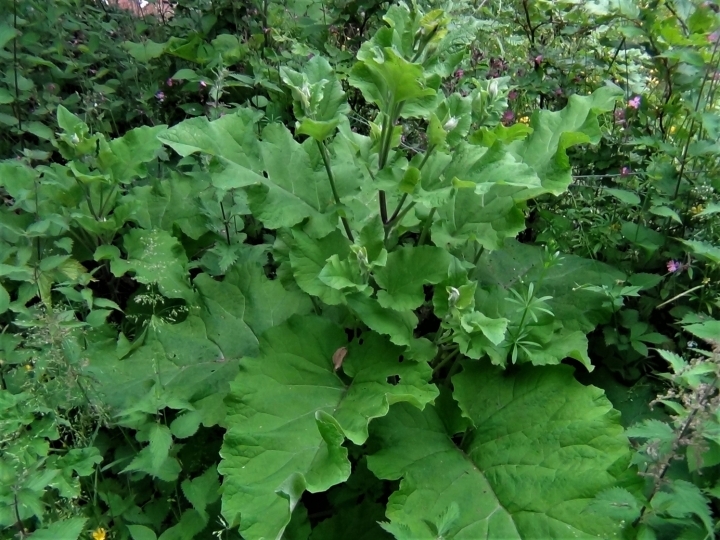 Black and usually like a very long carrot but due to the stoney soil it usually grows in, they can become forked or stunted. 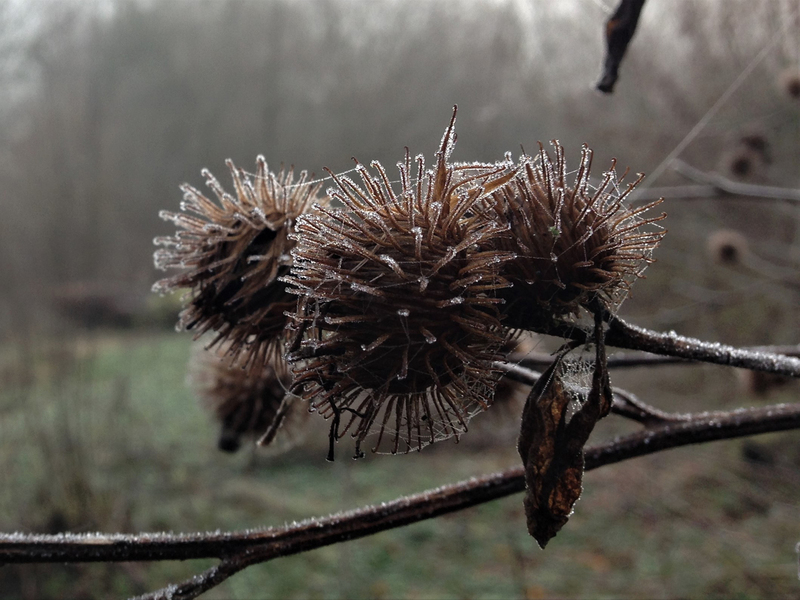 Waste ground, meadow edges, gardens, roadsides, alongside footpaths, woodland edges and around the edges of nearly all the farmers fields I’ve had the privilege to forage around. 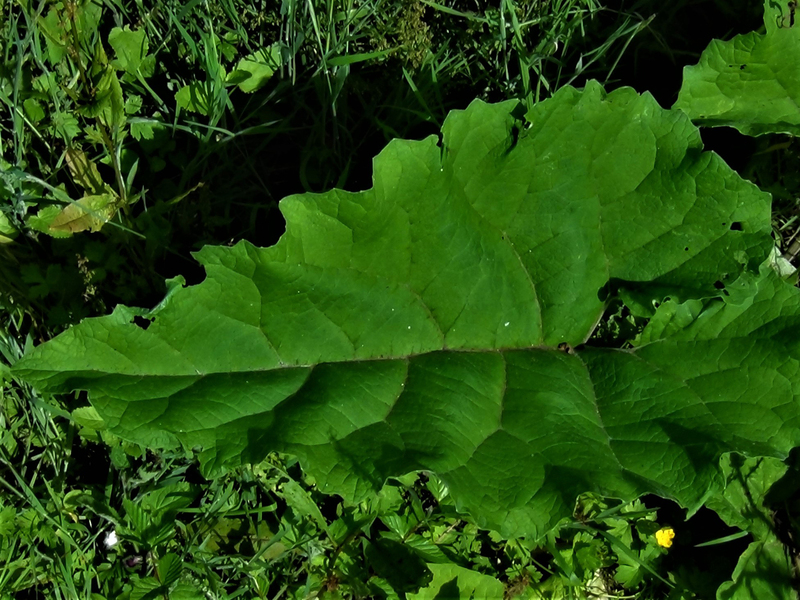 Could be mistaken for Butterbur, Petasites hybridus, but Butterbur has much rounder leaves that are downy underneath. 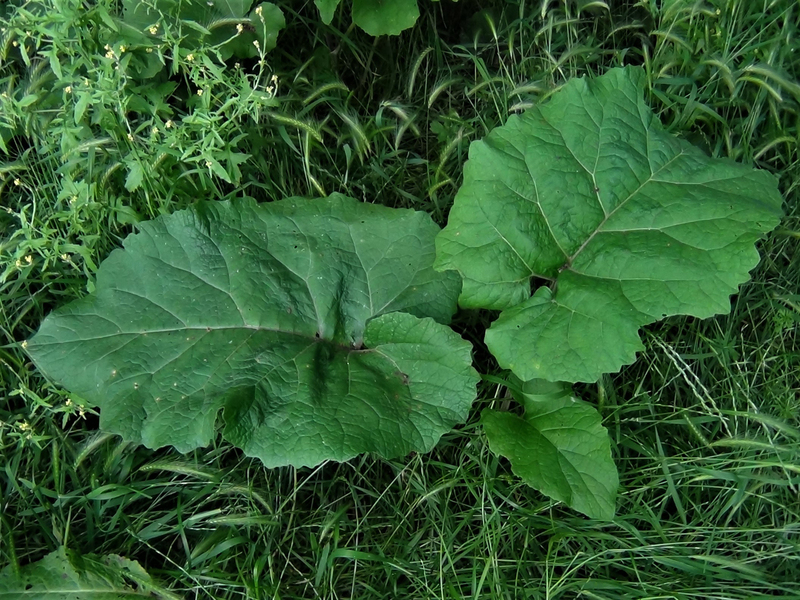 The jury is out on the edibility of Butterbur, as like purple flowered comfrey it contains small amounts of pyrrolizidine alkaloids which can be harmful to the liver. 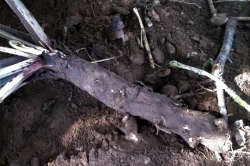 The roots taste a bit like a cross between sweet chestnut and parsnip. 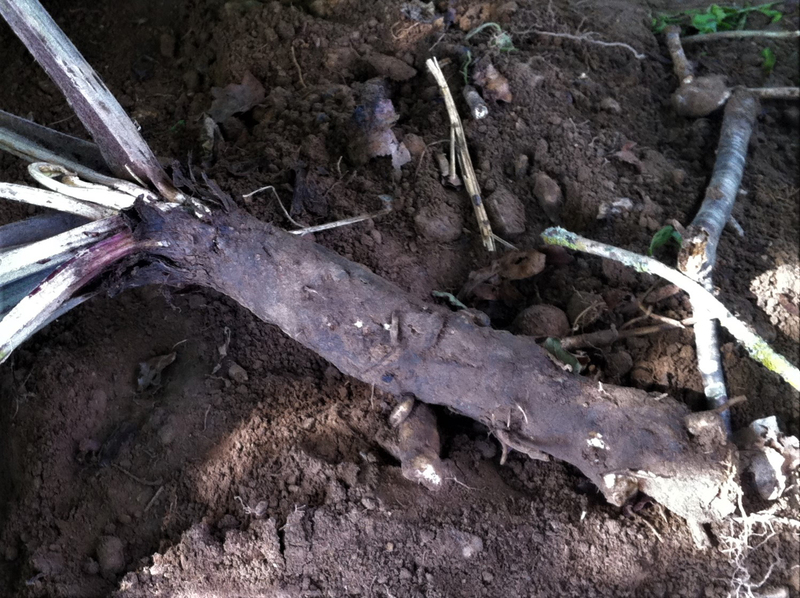 The roots are the best part of this plant but most often require major excavation to remove them from the usually hard and stoney ground. 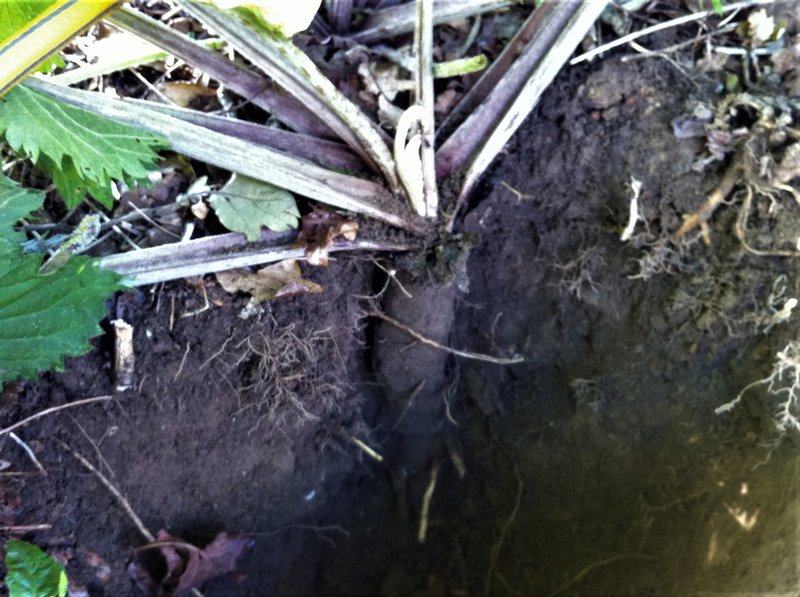 You need to forage the roots in Autumn or Spring of the first years growth to be of any worth. 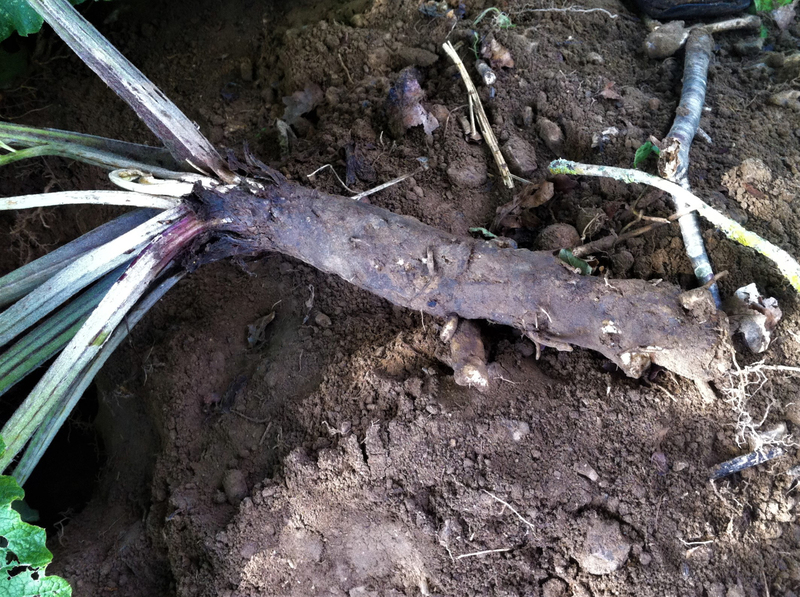 The roots can be roasted like parsnip, sliced finely and stir fried or made into a puree. 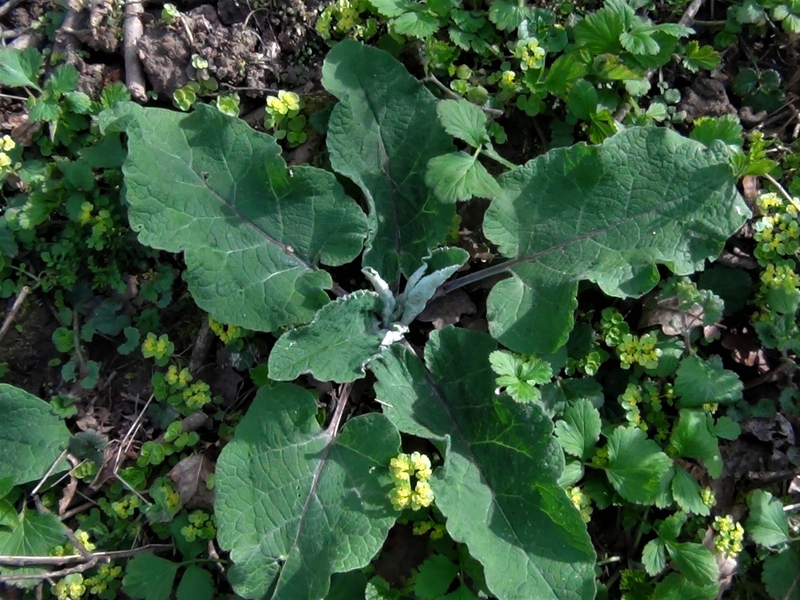 The stems of the younger plants can be eaten until about May when they become woody and bitter. 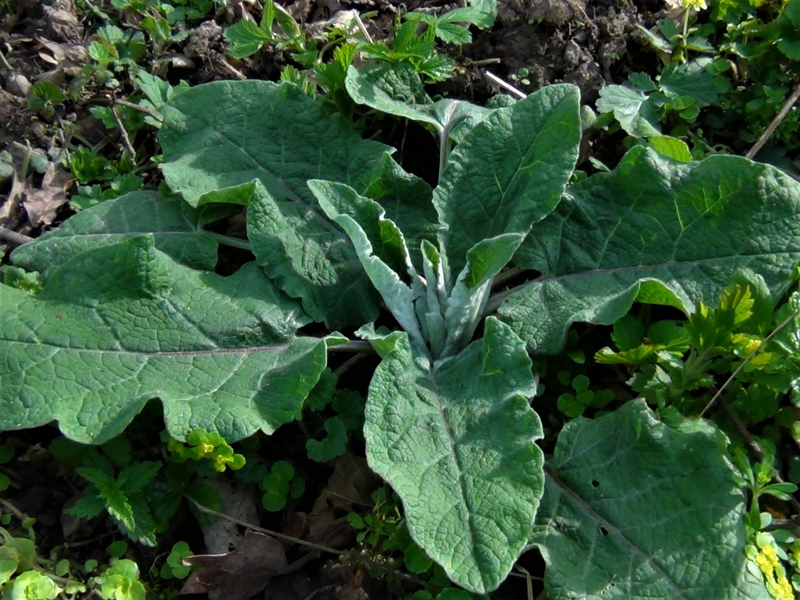 The tough outside of the stem needs to be removed first revealing a thin vegetable that can be treated like asparagus or used raw in salads. 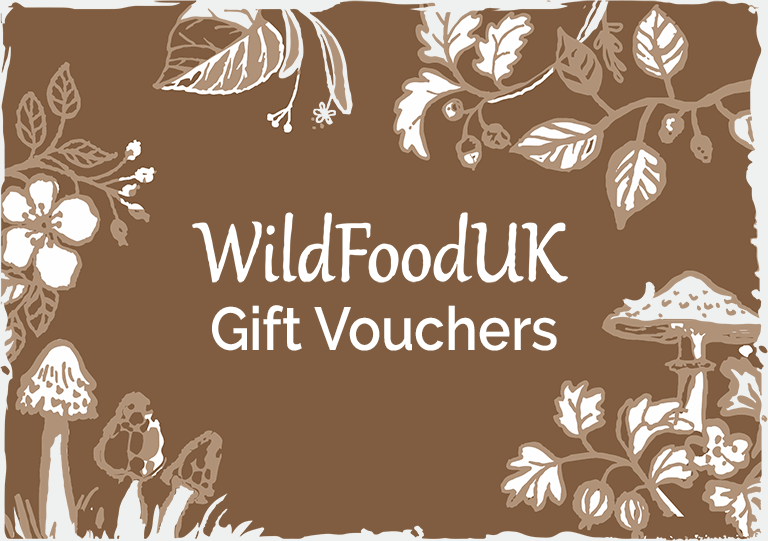 The leaves best use is to wrap and protect food when cooking in a ground or clay oven or in campfires. 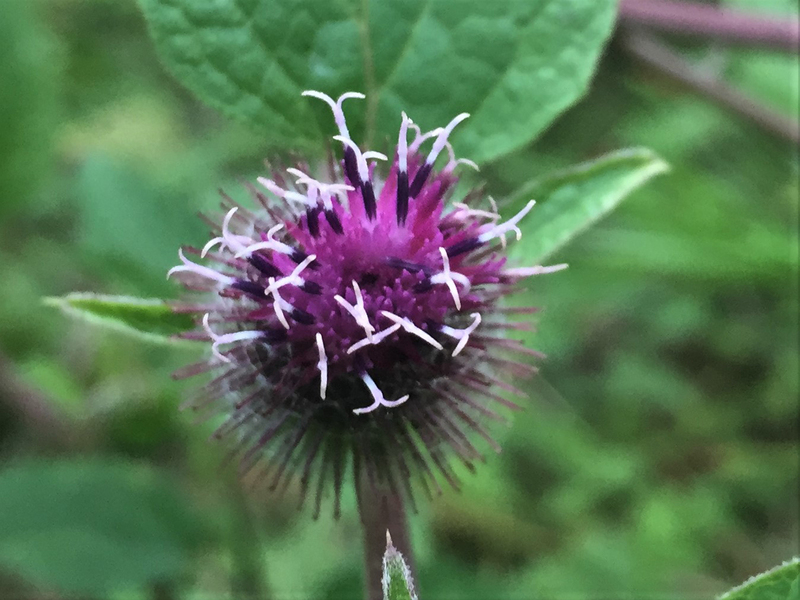 Recent studies have shown that the extracted oil from the root of Burdock is rich in essential fatty acids and phytosterols. Burdock was commonly used in cooking in the UK in times past but has long been forgotten about. 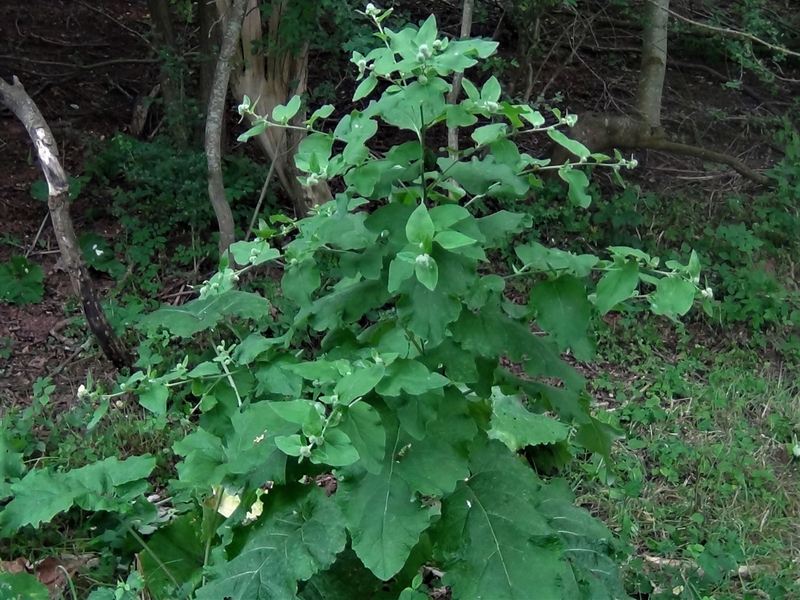 In Asia Burdock is still used to this day where it is collected commercially and called Gobo. 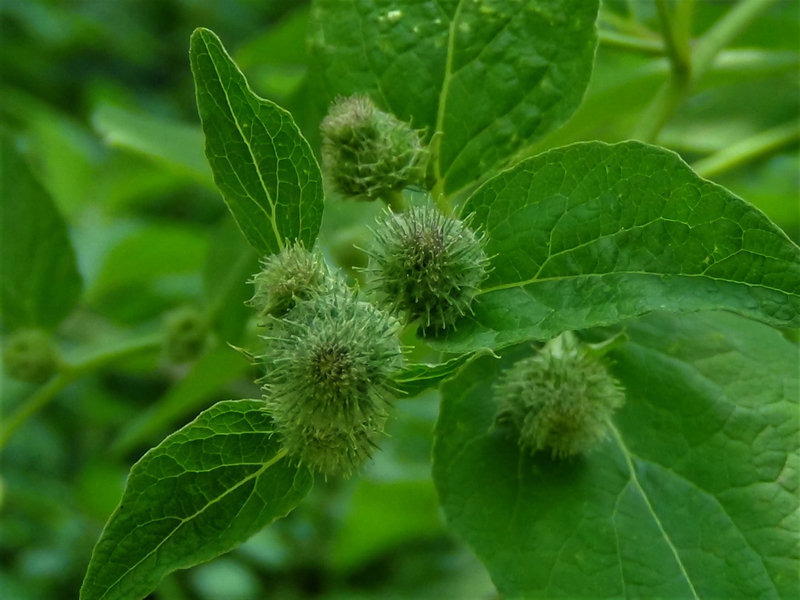 Starting in 1948 George de Mestral, a Swiss inventor, created Velcro after walking his dog and noticing the ‘burs’ from Burdock sticking to his dog. 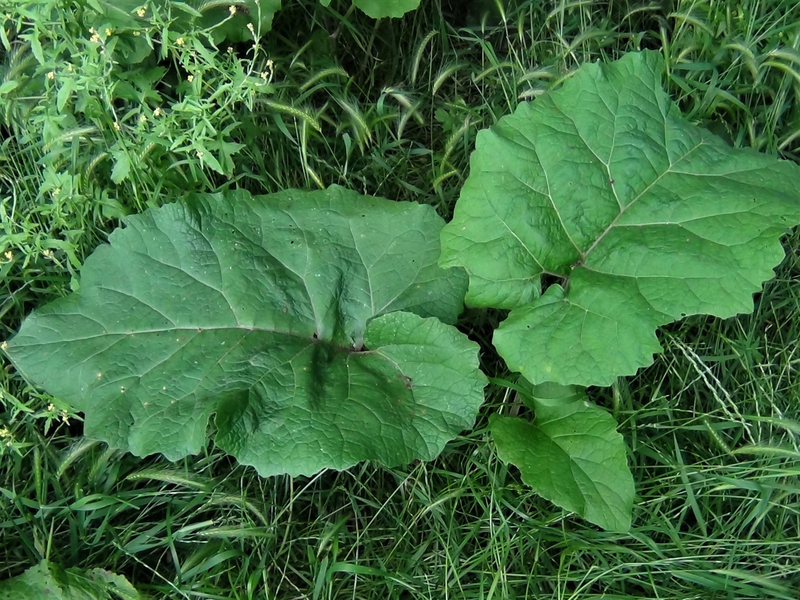 If you are lucky to be near some Burdock when it starts to rain the leaves are big enough to make a foraged umbrella! 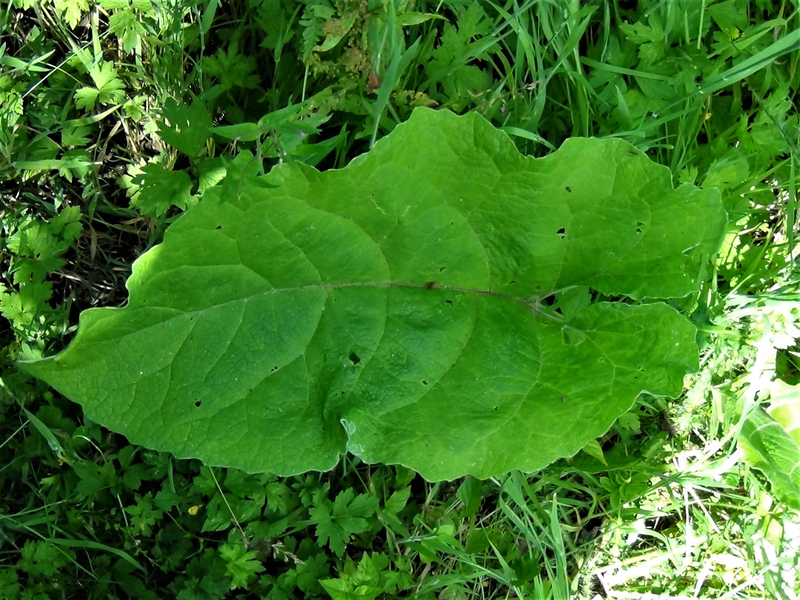 Other sources point out possible confusion with foxglove. 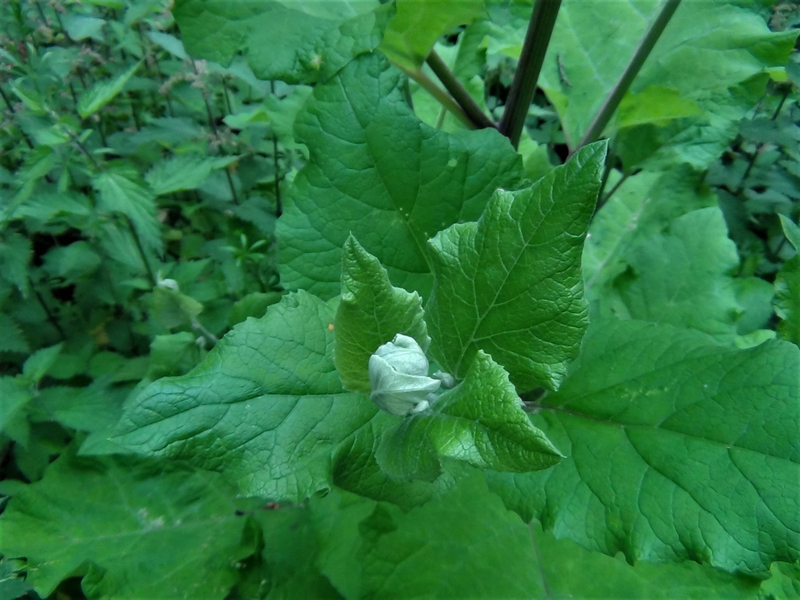 Apparently, the veins of the poisonous foxglove run parallel to the main vein of the leaf which can also be slightly more pointed at the tip. P.S. 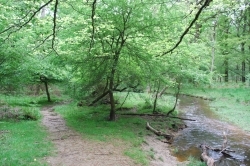 love the website and hoping there will be a print version of the guides.